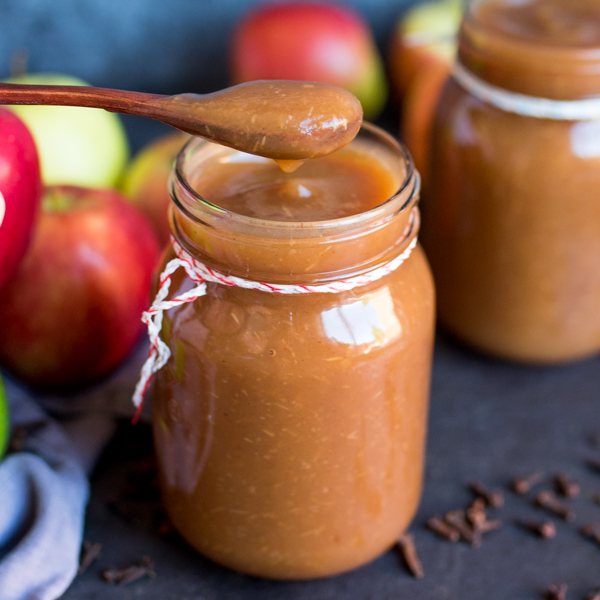 A simple throw-it-all-in spiced apple butter – no peeling required. Ready in less than 3 hours. You’ll want to top everything with it!! 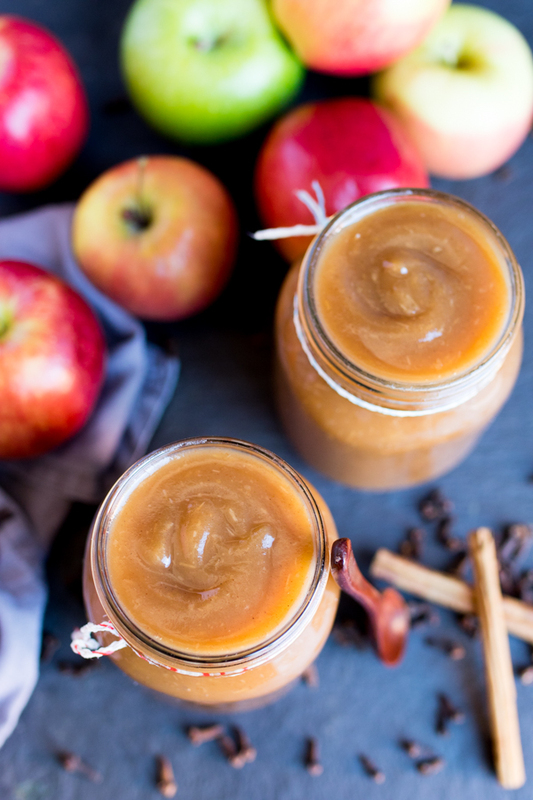 Apple sauce and apple butter – we’re crazy for it in our house. If I’ve made roast pork for dinner, I know I have to make enough apple sauce for at least a good ladleful each! And apple sauce’s richer, spicier, thicker cousin – apple butter? Every time I go back to the refrigerator there seems to be a couple of tablespoons less in the jar. It seems to evaporate over a couple of days! Very strange. 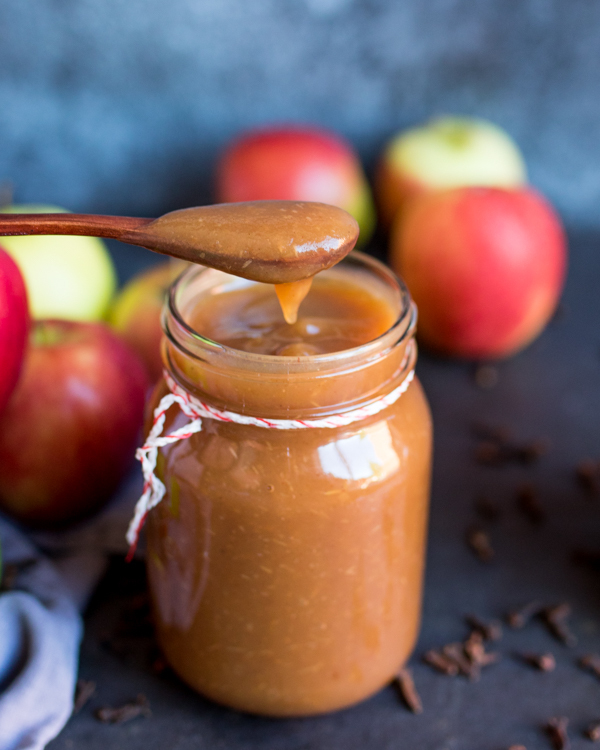 You can make apple butter in the slow cooker, as I sometimes do, but this is my faster stovetop version. It only needs about 2 hours to get to that lovely thick consistency. At that point (after a short cooling time) I blend it straight in the pan. I don’t bother peeling the apples as I quite like the slightly speckled appearance of the butter if the skins are left on. That and it saves a ton of effort! Serve it on toast, pancakes, in cakes or even on toasted baguette with some crumbly cheese and a few thyme leaves (my favorite). The best lunchtime treat! Place all of the ingredients into a large heavy-based pan or dutch oven. Mix together. Bring to the boil, then turn down to a low heat. 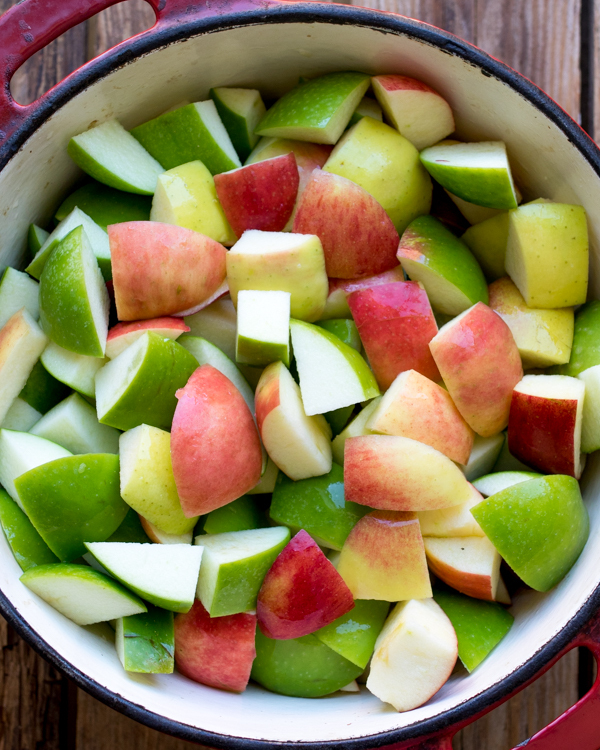 Place a lid on and simmer for 2 hours, stirring every 10-15 minutes to make sure the apples don’t catch on the bottom of the pan. 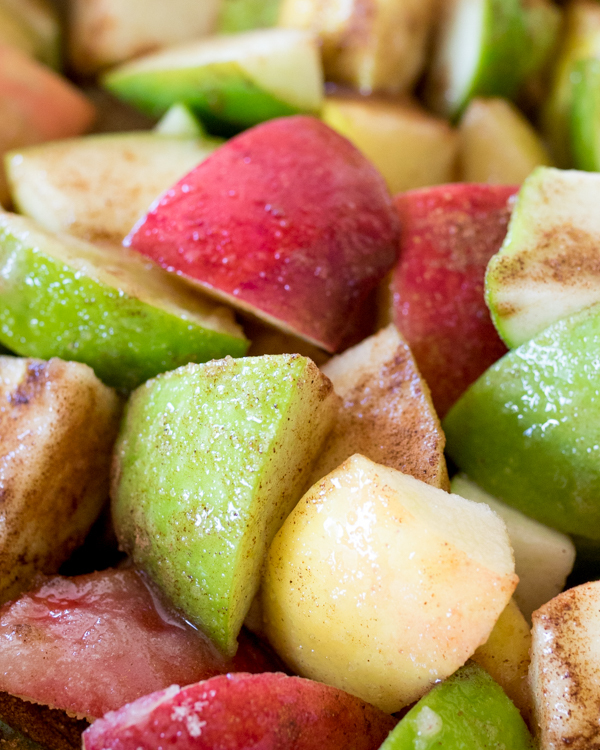 Remove the lid and leave to cool for 20 minutes, then blend using a stick blender until smooth. Eat warm straightaway or place in sterilised jars and refrigerate. The apple butter should keep for 3-4 weeks.